Really, I have been super busy getting ready for my Holiday Catalog open house next week! I actually made a Christmas card before the end of August! What was I thinking? I hate making Christmas Cards here in Florida when the temp is high and usually put it off until the end of October. This is a card I made with my group of demos in NC last fall. 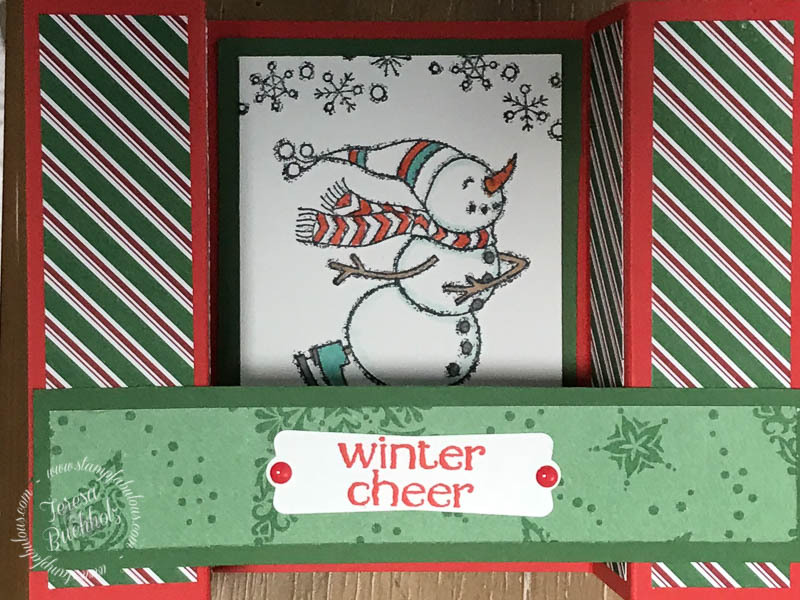 I just used the measurements from that card to make this card using stuff from the new catalog! I love how it stands up after you take it out of envelope, a card to stand alone! Click on any item below to purchase! 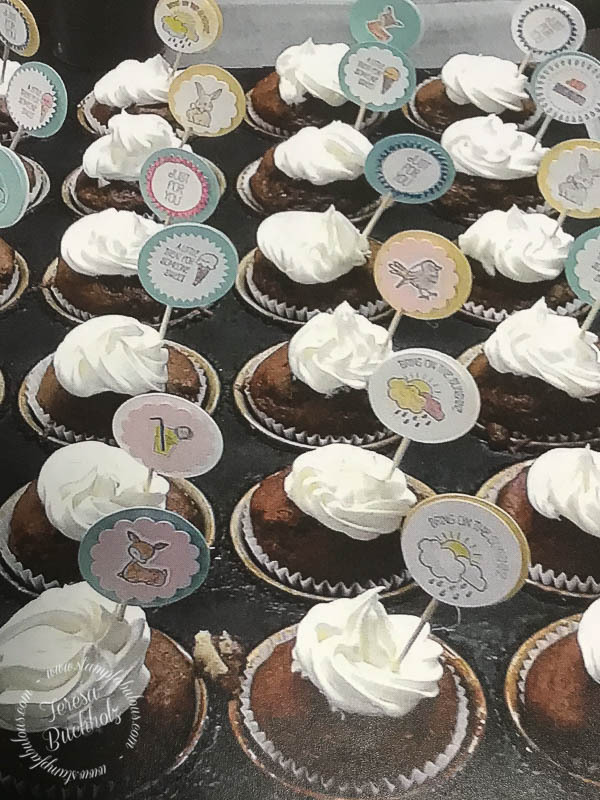 The other thing I did yesterday with my Brookdale Assisted Living group was make cupcake toppers for the cupcakes for dinnder last night! After all who doesn’t love cupcakes? It was so much fun, I love that group! Chef Josh was kind enough to make cupcakes for dinner using the toppers they had made! Thank you Josh! Here is a picture that was given to me before they served them! The ladies loved that project!